Ever since the first 4G LTE markets lit up in the US, we’ve talked about speeds. We talk about speeds because we’re technology nerds who are always in a constant competition with one another. We like to brag about the products we’ve invested in. We like to know that we’ve got the best of the best. We also want you to know it. And again, one way we do that is by showing off speed test results on the regular. 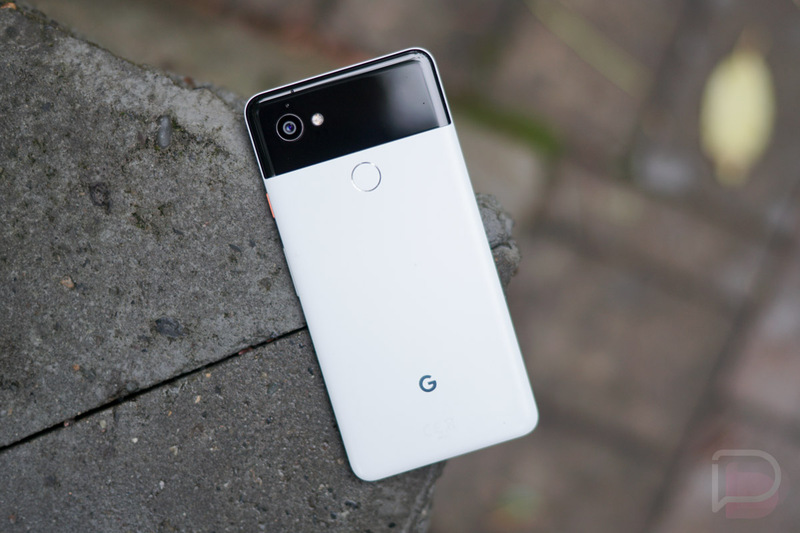 Today, test results provided by Cellular Insights to PCMag should give Pixel 2 owners some new bragging rights, but also Android owners in general over the fancy new, future phone, the iPhone X. The folks at Cellular Insights setup tests on LTE Band 4 in 2×2 MIMO mode, since Band 4 is pretty common here in the US on carriers like AT&T, T-Mobile, and Verizon. They ran the tests starting with a -85dBm and went until they lost connection or could no longer perform. The tests included the Pixel 2, Galaxy Note 8, LG V30, and the iPhone X in two models. For those not familiar, there are two iPhone X models, one with a Qualcomm modem and another with an Intel modem. All of the Qualcomm phones tested used the company’s X16 modem. According to the results, when using the same band, channel size, and number of antennas, the Pixel 2 pushed 36% better download speeds than the iPhone X. And that would be the Qualcomm version of the iPhone X, since the Intel model version really can’t compete with any of the phones tested. The Galaxy Note 8 and LG V30 were right there with the Pixel 2, though. Even as the Pixel 2 excelled with a strong connection over everyone, the Note 8 and V30 held a better connection longer. 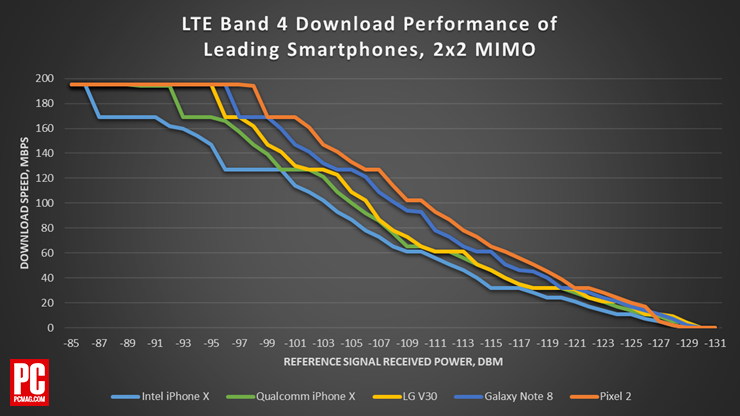 In addition to showing Android phones wipe the floor with the iPhone X, Cellular Insights also tested the three Android devices on LTE Band 4 in 4×4 MIMO mode. They didn’t include the iPhone X in this test because, well, the Intel version can’t do 4×4 MIMO (lolz). The three Android devices all provided similar results with a good connection in this scenario, but the Pixel 2 did show better with a poor signal. Why is it that these Android phones, the Pixel 2 in particular, crushed the iPhone X so substantially? It could be that because there is an iPhone X model with an Intel modem that can’t compete with Qualcomm’s modem, that Apple slowed the Qualcomm model. That’s unconfirmed, but PCMag notes in their write-up that “industry sources” assume that to be the case. If true, you’ve got to give it up to Apple – they love slowing sh*t.
Brag it up, boys and girls.